About us - Bridging Gaps e.V. Zakhele Nkosi is the COO and a member of the management team of the South African organisation. 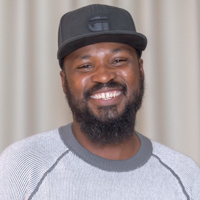 Zakhele founded the organisation in March 2018. As a project coordinator, he successfully implemented the youth exchange project in 2017/2018, managing the organising team and working closely with the teenagers. In addition to his operational role, he implements projects and designs new programmes for the organisation. He has extensive experience in facilitating sessions focusing on racism, privilege and intersectionality. He is a lecturer and researcher at the University of Pretoria, where he graduated with Masters of Science in Geology. Previously, he worked as an assistant campaign manager at Zinto Marketing Group. 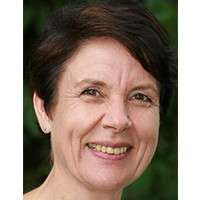 Juliane Hoss is the CCO and a member of the management team of the South African organisation. She started the Bridges Camp project in October 2013 and founded the German branch in May 2018. 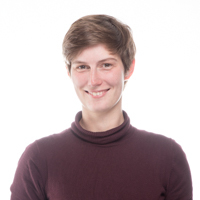 In her role, she manages the link between the German and the South African branch, develops and initiates new programmes and coaches more junior members to run the organisation’s projects in South Africa. As a trained youth leader, she has more than 10 years of experience in youth work. 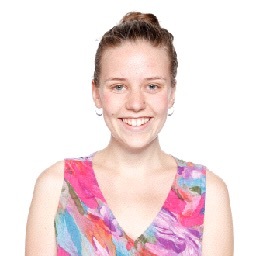 Juliane Hoss holds a Master of Science in Psychology and two years of work experience as a community researcher and counsellor in South Africa. 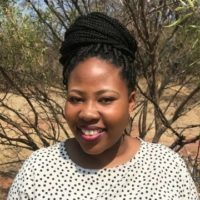 She also holds a Masters from the Department of Management at the London School of Economics and is currently working as an associate consultant for Bain & Company in Johannesburg. Botlhale Kungwane is the Chief Financial Officer for Bridging Gaps South Africa. 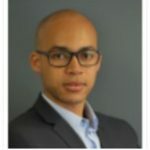 He is a corporate finance specialist with more than 3 years’ experience in the private sector, particularly the telecommunications sectors. He hold an Honours in Bcom Accounting from UP and hehas completed SAICA’s APC exam. His experience includes corporate finance advisory, which involves providing advice on merger and acquisition transactions and deal structuring advice relating thereto, including valuations and due diligences. He also has core finance, business planning and management costing experience. 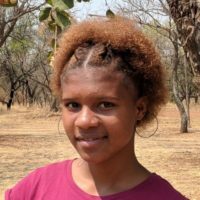 Mogau is leading the Growth Path project, Bridging Gaps leadership development project with currently 37 participants, which required her to be mainly active in communicating with the participants’ guardians. She is the project coordinator for the youth exchange on the South African side and working full time for the organisation in this role. She will also accompany the South African participants to Germany in April for the youth exchange. She was previously part of Activate Leadership Programme with experience in youth and skills development. She enjoys spending time interacting with kids, friends and family. Sipho Mnisi is a supervisor and coordinator at Bridges Camp. He started the educational wing of the organisation, which he is currently managing. 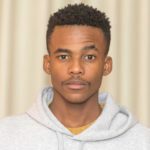 As an active member of the organising team of the youth exchange, he manages the digital collaboration project between the participants from Germany and South Africa. He volunteered for 10 yearsworking with young people in various organisations and has an excellent 5 years teaching experience for Secondary School learners. 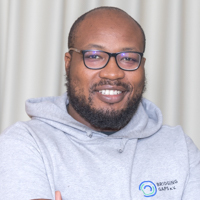 He completed Bookkeeping National Certificate at IQ Academy and Certificate of The Online Marketing Fundamental with Google Digital Skills for Africa. He participated at Activate Leadership Programme as a Change Driver in 2017 and now he is doing second level on Switch Social Entrepreneurship Programme. 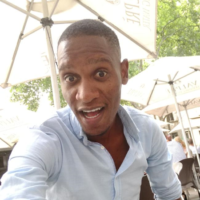 He is currently working as a Digital Skills Trainer at Digititan (Pty) Ltd under Google Digital Skills for Africa. 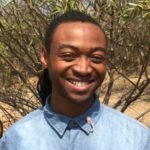 Chesney Joubert is a supervisor and programme coordinator at Bridges Camp. In his role as an administrative support, he is currently working full-time for the organisation. He has been volunteering for the organisation since February 2014, when he started as a facilitator. Over the 4,5 years he participated in 10 camps and attended multiple trainings, in which he improved his skill set as a youth leader. He graduated from high school in December 2016 and is currently preparing to further his education in 2019. 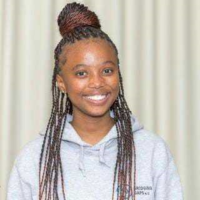 Mpumi is a Supervisor at Bridges Camp and as an active member of the organizing team of the youth exchange, she is responsible for collaboration between Bridging Gaps Germany and South Africa. She further provides administrative assistance to the team through arranging meetings and a focal contact person to the South African group. Her passion is in teaching and she previously volunteered to teach old people how to write. Currently, she runs her programme that assist learners with academic activities. She loves going out and watch movies. Keshia is a former participant at Bridges Camp and worked her way up to become a supervisors. She is managing the communication with the parents of all participants in her role as a member of the organizing team for the youth exchange and mainly responsible for informing parents of the developments within the organization and information sharing. She is also highly active in digital collaboration and contents planning. She is 18 years old and currently completing in Grade 12. Her hobbies are writing and reading poems. Nontsi is a Supervisor and chef at Bridges Camp. In this role, she gained extensive experience in catering for up to 65 individuals. She is the logistics personnel and an active member of the organizing team of the youth exchange. Other than cooking, Nontsi also enjoys watching TV and reading during spare time. Isaac Ndwendwe is a senior supervisor at Bridges Camp and runs internal trainings for the youth leaders and supervisors in the organisation. He has 15 years’ experience in youth and community work as a senior facilitator and camp leader for Karos and Kambro. 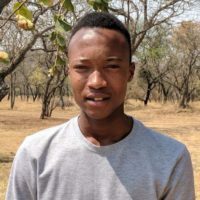 Together with Zakhele, he was leading the organising team for the youth exchange 2017/2018, instructing and preparing all supervisors, leading the pedagogical programme and ensuring safety and security standards at the camp. Matimu is a Supervisor at Bridges Camp and runs Bridging Gaps South Africa social media platforms. He is also provides assistance in crowd funding and content planning. He is the newest member of the team and has experience in youth involvement dating back to 2015. He is a football fan and support Mamelodi Sundowns and Manchester United. Lesego Selemela is 17 years old, male and started to attend Bridges Camp in March 2014. He started as a participant, became a facilitator and is currently a supervisor. He has been volunteering for 16 camps. His role is SIT support, he is coaching the Supervisors in Trainings, preparing them for their duties and guiding them through bigger challenges. He enjoys learning and has improved his skills, like talking, presenting, drama and communication skills. He is in high school, doing the science stream and will be in matric in 2019. Nikisha Randall is a supervisor and Camp Coordinator at Bridges Camp. In her role, she is working part-time for the organisation since 2015 around December, when she became a facilitator. Over the years, she had participated in 14 camps and multiple trainings. She enjoys meeting people from all around the world and is a music lover. She is friendly and energetic. She will complete high school in 2019. 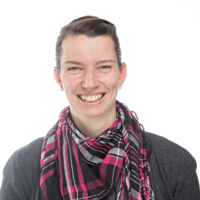 Since August 2017, Kristin is leading the organisation and the first point of contact concerning our work in Germany. She is responsible for the execution of our projects and the external communication of the organisation and is always happy to work on new projects and establish valuable contacts, which help us to fulfill our goals. As a treasurer, Rosemarie is responsible for the administration of our finances and our account. 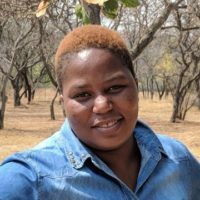 She has an overview of the income and expenses of our projects in Germany and South Africa, where she works with the local treasurer, Botlhale. She issues the donation receipts and in particular has the important and demanding task of drafting the tax declaration of our association. Rosemarie has a degree in human resources development and works full-time as a human resources manager for the newspaper Gaeuboten. She has gained ~ 25 years of experience in human resources management in various institutions. Anna has been a member of Bridging Gaps e.V. since spring 2016 and is part of the advisory board since the end of 2018. 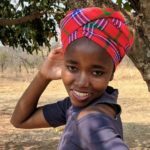 She took up her first major task within the association in 2017 as a member of the organizing team of our German-South African Youth Exchange. Here she was the point of contact for parents and participants and has taken care of twofold organizational matters. In the second round of the youth exchange, which started in the summer of 2018, Anna took over the role of project coordinator on the German side. In this function, she keeps track of the entire project and manages the German part of the organizational team. 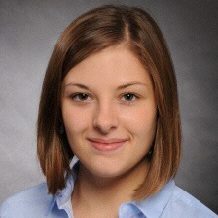 Johanna Siebert has been a member of the organisation since 2017 and has coordinated the content of the youth exchange. In her role, she planned the encounter phases of encounter of the young people in Germany, planned workshops and facilitated activities. In 2018/2019, she led the content team for the youth exchange. Since the end of 2018, she is a member of the advisory board. She is studying International Development Cooperation at undergraduate level in Brighton, England. 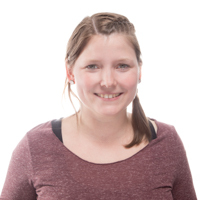 As the administrator, Stefanie is the contact person of all our members and everyone, who is interested in joining our organisation. She helps all of our members, if they are insecure, have any questions or problems. In addition to that, she continually improves the support structure for our members. As a passionate scientist, Marlene leads all our content related work. She collects materials, gathers new ideas for our organisation to develop our different projects. 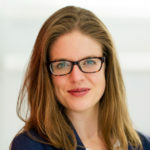 She functions as a mentor and supports our members if they have questions connected to our organisations´ topics, for example racism and different types of discrimination. Additionally, Marlene is responsible for the press release and elaborates our newsletters. As our project coordinator, Ramona has an overview of all our projects in Germany as well as new project ideas. 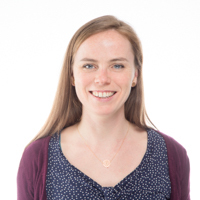 She ensures the successful realisation of all our projects and supports the members if they have any questions in relation to our projects.She is also responsible for the evaluation of our projects and oversees our progress towards the aims of our organisation.